We are currently updating the site to give you a peek at our new company identity, and feature some our recent projects. Our full site should be ready soon(ish). To see more or discuss a project, please call 604.709.3388 or email info@popgun.ca. 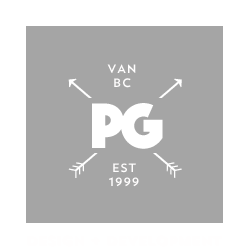 Popgun is a Vancouver based website design and development studio. We have been creating innovative and engaging user experiences, online campaigns, and useable web and mobile applications since 1999. Combining design, technology, and marketing principles, Popgun has experience designing and developing online content for clients in many business areas, including real estate, non-profit, health care, entertainment, education, and the arts.